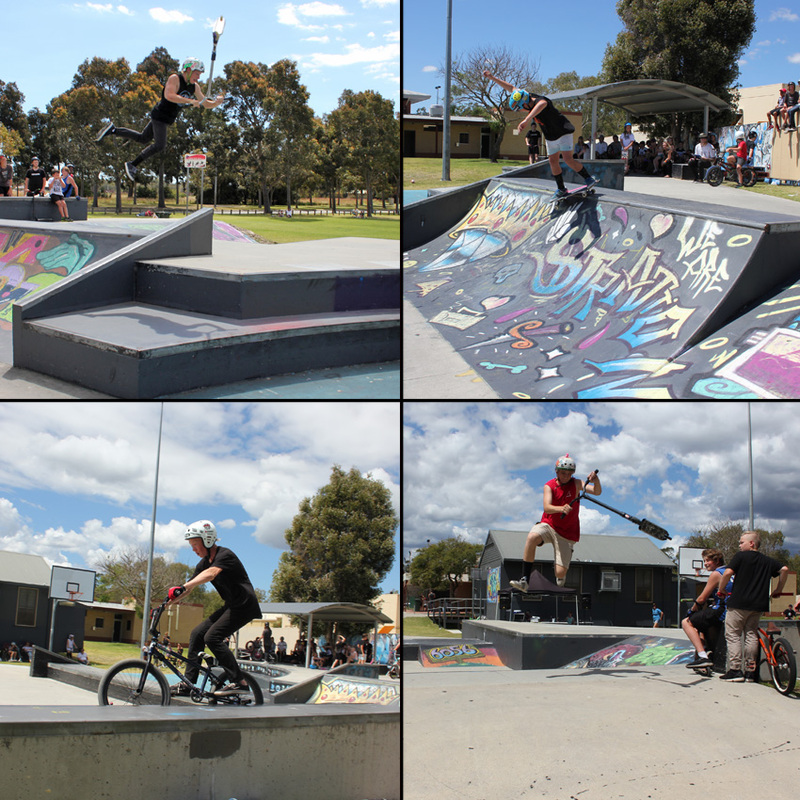 Round 4 of the 2018 Freestyle Now Western Australian skatepark competition series took place at the Pinjarra Skatepark. The turnout was rad with a great equal number of competitors spread out over all the disciplines and classes. It was great to see the bmx class growing in numbers. The riding at the competition was as always off the hook with competitors pushing themselves to get their tricks done in the runs. A big thank you to the Shire of Murray for their support and also to our supporters Kickass BMX, The 4 skateboard company, Modus Bearings, Grit scooter. Round 5 takes place in Bridgetown so be sure to check our coming events page for more info. The Pinjarra comp was a solid turn out. Pre competition warm ups. The Action Sports Games is back. After two years of a hiatus it has returned to a new home in Bunbury. It was on a smaller scale to what it was in previous years but this will give it room to grow just like it did when it first came upon us 6 years ago. 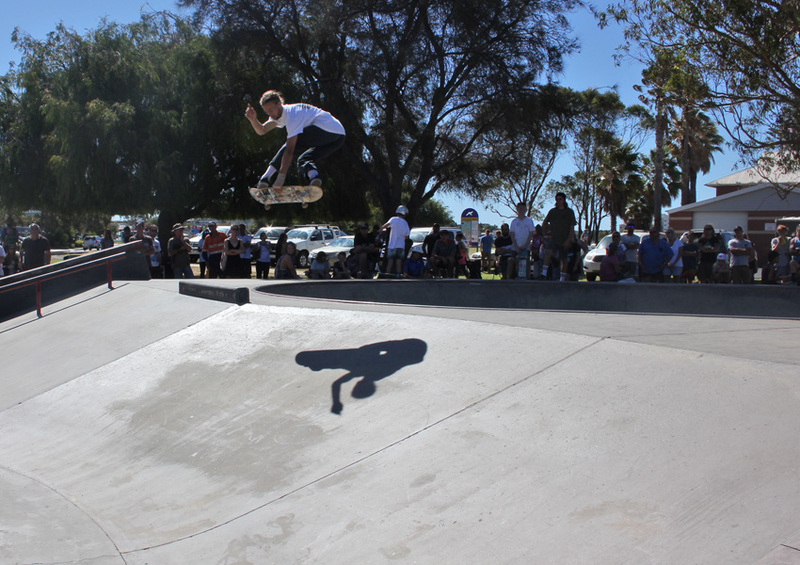 The skatepark competition took place on the Saturday with the wake boarding competition taking place on the Sunday. In amongst all of that were some freestyle moto shows. 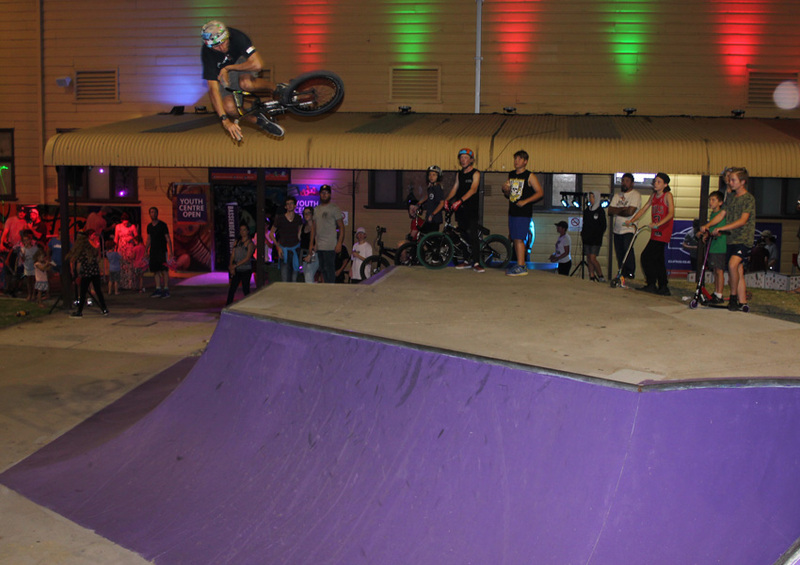 All up Bunbury has some of the best action sports taking place right in the heart of the city. 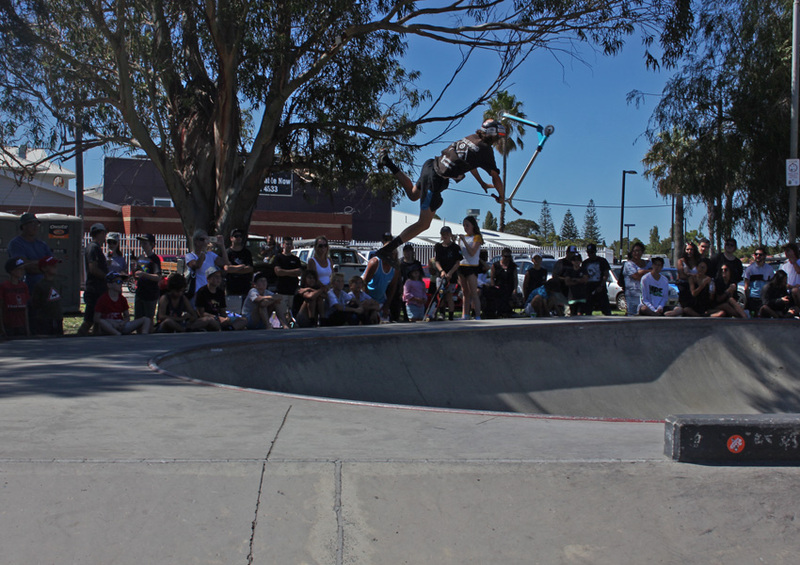 The Action Sports Games skatepark competition was also round 2 of the Freestyle Now Western Australian skatepark series. This scooter, skateboard and bmx skatepark competition had $2400 prize money up for grabs and a stack of prizes from Vokul scooters and Minority clothing. The turnout was good with over 60 competitors and hundreds of spectators. The beginners all went off first in the morning with some great riding all round in all the disciplines. The intermediates were up next with some great stand outs like Adam Puffler and Seb Conte who only had one point between them for 1st and 2nd in scooters. In skateboard it was all Levi Pound, an up and comer who has defiantly the potential to make it in the open class. In BMX it was Fabio Canetti and Jayden Cugini who took the 1st and 2nd with some great bmx stunt riding. The afternoon was all about the hard hitting open class. $500 was to go to first place. From the moment he dropped in you could tell Kody Law was on a mission. He was consistent and had some hard tricks. Taking home the win with 214 points with Kieran Ramsy 204 points for the $200 2nd spot and Jakob Well on 197 points for the $100 3rd place. The skateboard class was a tough one to judge, a lot came down to consistency. It was Brendon Cross who went big and stayed on the most and too the win with 220 points and $500. With only one point behind for the 2nd place and $200 was David Wilson, it was a tough competition. It was great to see Dylan Tomlinson skating hard again taking the 3rd place with 212 ponts and going home with $100. BMX class last to run. Dylan Schmidt was ripping it all day but come comp runs he just was missing that punchy push. A 3rd place, $100 with 218 points. Luke Tooze has been stepping up lately with his riding, he has the power and the ability he just need to refine his style to be a bit more smoother. 2nd place with $200 and 226 points. First place was all David Pinelli. You could see it when he dropped in, precise riding, big tricks and full of flow. $500 richer with a total of 231 points. 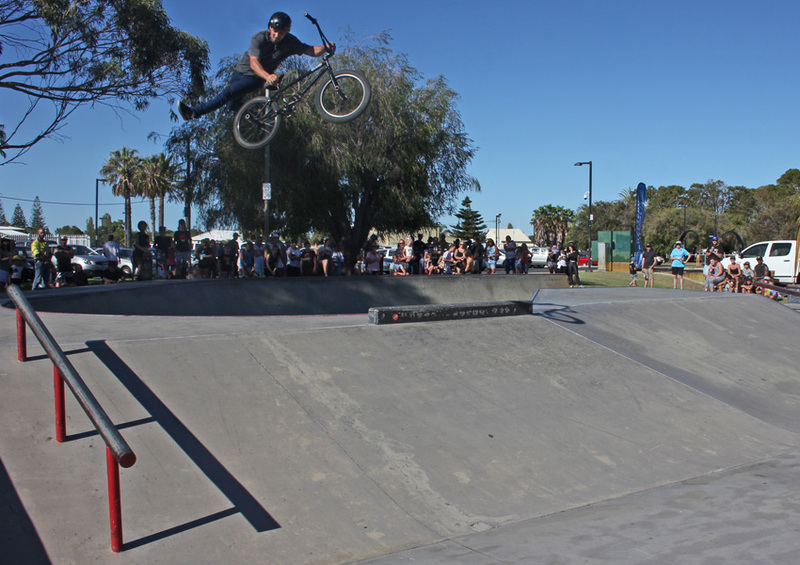 We hope that for 2019 the Bunbury Action Sports Games will be back even bigger for all to get involved with, so stay posted. 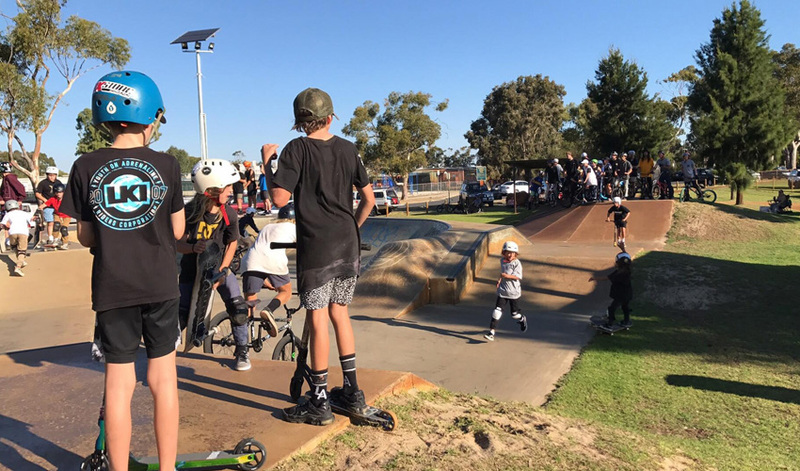 Round 4 of the Freestyle Now Western Australian skatepark series takes place in Pinjarra so be sure to check our coming events page for more info. 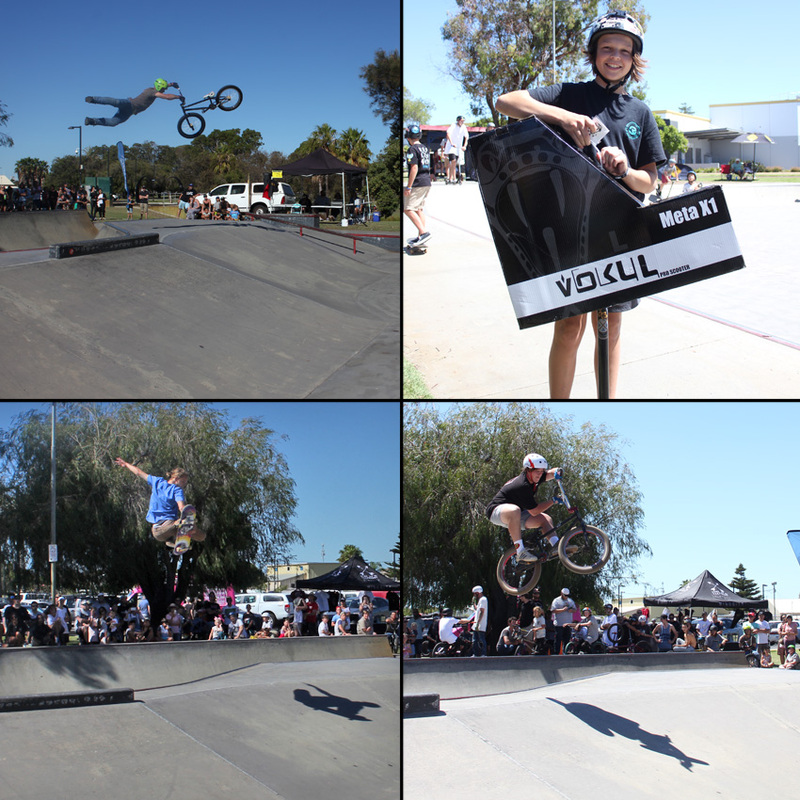 Clockwise from top left – Shane McIver took 5th in the bmx open class but this super whip was one of the best tricks at the competition – Adam Puffler took home another Vokul complete scooter, this one from winning the intermediate scooter class – Rowan Cosh started his bmx journey when he was 3 after seeing a Freestyle Now bmx stunt show, now 12 years later he has some awesome x-ups – Dylan Tomlinson contorted and high on his skateboard, just the way he wants it. More photos can be found on facebook here. Kody Law 1st in Scooter open class. Scooter intermediate – 1st Adam Puffler, 2nd Seb Conte, 3rd Blake Edwards, 4th Ryan Sudintas, 5th Luke Gorey, 6th Kash Toft, 7th Tylar Norton, 8th Jayden Sutton, 9th Cody Pearson. 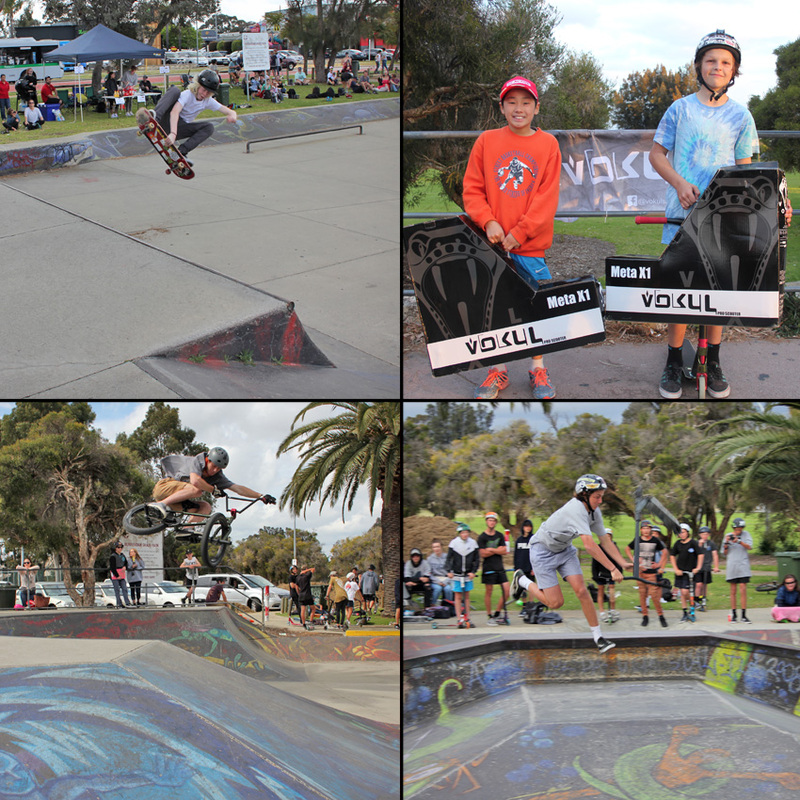 Round 1 of the 2018 Freestyle Now Western Australian skatepark competition series kicked off at the Bassendean skatepark as park to the Gravit8 youth festival. As always the Gravit8 festival did not disappoint. The Town of Bassendean youth workers as always set up the festival so that the night would be rad. Heaps of activities to get involved in if you were not competing or just wanted to chill out. Lots of families come out to support the competition which is always the best. With 61 competitors to get through it was going to be a hard press to get them all done in the allotted time. But as normal Freestyle Now got the skatepark competition done without effort and done smoothly. We would also like to thank our supporters Kickass BMX, The 4 skateboard company, Modus Bearings, Grit scooter, and the Town of Bassendean. Round 4 takes place in Pinjarra so be sure to check our coming events page for more info. Clockwise from top left – Kyle Bridgeland took advantage of the free slushies and got a 1st in skateboard intermediate – Benjamin Targett use his silent bicycle to partake in some stunts to win 1st place in the bmx intermediate class – Cameron Harapeet was on fire and in the intermediate scooter class, not long till he will need to ride in the open class, he is getting that good – Ross Rogen-Green show up and proceeded to skate really good in his first run but not so good in his second, 3rd place but it was a treat to see his skills. More photos can be found on facebook here. Luke Tooze took home the 2nd in BMX open but he was airing higher than anyone and this hip jump is proof. Dam he surely can fly. Scooter beginner – 1st Gary Garlett, 2nd Maynard Nappers, 3rd Lachlan Norris, 4th Keilan Breen, 5th Shannon Allen, 5th Chris Prince, 7th Taj May, 8th Beaou Guy, 9th Nickolas Bowden, 10th Otis Harvey, 11th Declan Caldwell, 11th Blake Morey, 13th Joel Sorden, 13th Charlie Boffa, 15th Oliver Whittle, 15th Ben Brennard, 17th Ashah Monck, 17th Jack Saunders, 17th Dylan Matson, 20th Trae Mogridge, 21st Boady Lawford, 21st Chevy Smaller, 23rd Thomas Saunders, 23rd Jhett Ugle, 25th Zachery Geranis, 26th Rory Wright, 27th Samara Lawford. Scooter intermediate – 1st Cameron Harapeet, 2nd Jay-Relle Clinch, 3rd Lachlan Larsen, 4th Austin Cole, 5th Nathan O’Farrell, 6th Connor Gale, 7th Aric Chea, 8th Ashton Kelly, 9th Rhys Barnes-Roberts. BMX intermediate – 1st Benjamin Targett, 2nd Tyler Henderson, 3rd Jeremy Wilson, 4th Taj Hamilton. A congratulations goes out to the competitors who competed and followed the series enough to keep their points up. This series doesn’t really dictate who it the best rider in the state but gives the competitors a series to follow to work on a year end title. 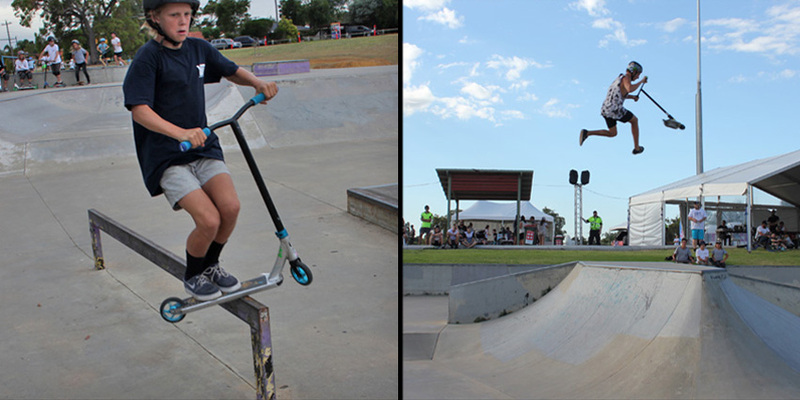 The 2018 series is set to kick off with round 1 at the Bassendean skatepark on the 16th of February and round 2 will be at the Action Sports Games at the Bunbury skatepark on the 3rd March. To see all of Freestyle Now coming events be sure to check our coming events page. We will be in touch with the winners of the series to award them prizes for their efforts. For the 2018 series only the top 10 place getters from each competition will get points allocated to the year end series. The winners in open classes will win an away trip with Freestyle now to one of our away events as a guest squad member for the event. All travel costs, accommodation, meals will be taken care of as well as being paid for their services. Other prizes will be awarded to top 3 in all classes. To be eligible to receive prize competitors must compete in no less than 5 competitions. 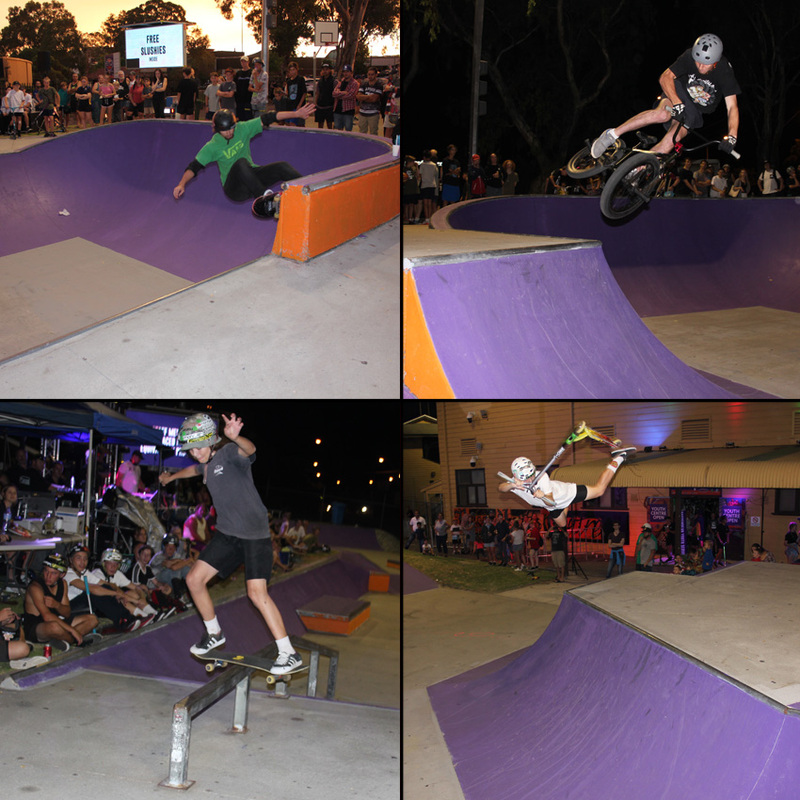 All competitions in the Freestyle Now Western Australian Skatepark Series will be held at skateparks within a 300km radius of Perth. 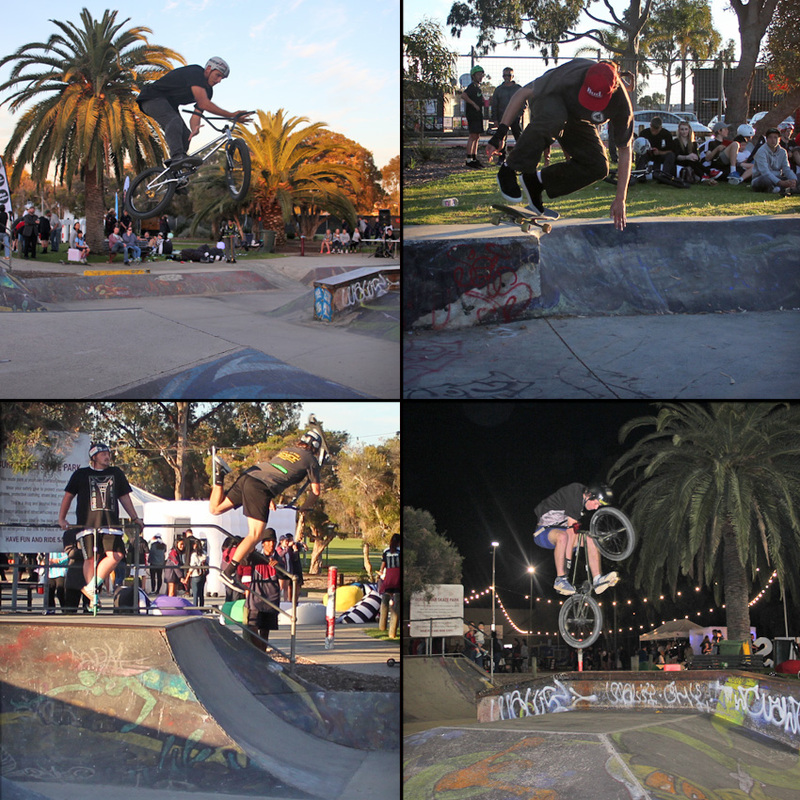 High Wycombe skatepark hosted round 14 of the Freestyle Now Western Australian skatepark competition series. This was the last competition in the 2017 series. 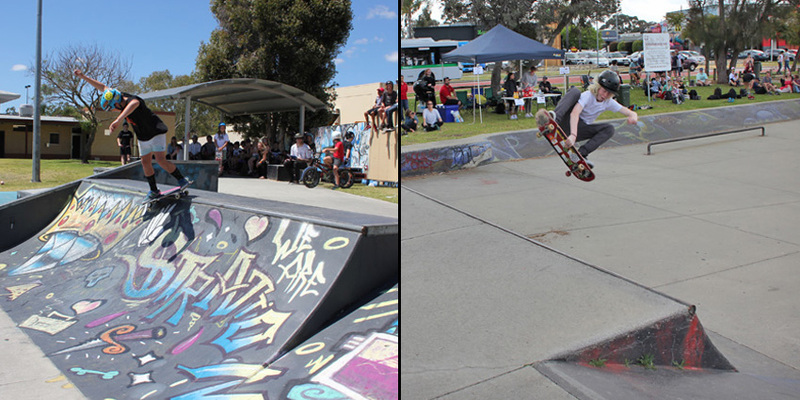 The Ramp it Up event put on by the City of Kalamunda was a great day. With 59 competitors spread out over the three disciplines of bmx, scooter and skateboard and having a great number of spectators it was nothing but radness all day. Who would have guess that having a skatepark competition in December you would have problems with rain, but there was. On a few occasions the competition was halted while it rained for a few minutes. Once the skatepark was dry again it was all systems go. The day was seamless with all of the disciplines alternating their time on the skatepark. Going into the day Luke Tooze and Jack Carwardine in the bmx open class only had 5 points between them for the year end title. It was close going but this year Luke has seen much progression. With large gaps and fast riding taking place he took the win in the open class and the year end title. We would also like to thank our other supporters Colony BMX, The 4 skateboard company, Modus, Grit scooter, and The City of Kalamunda. 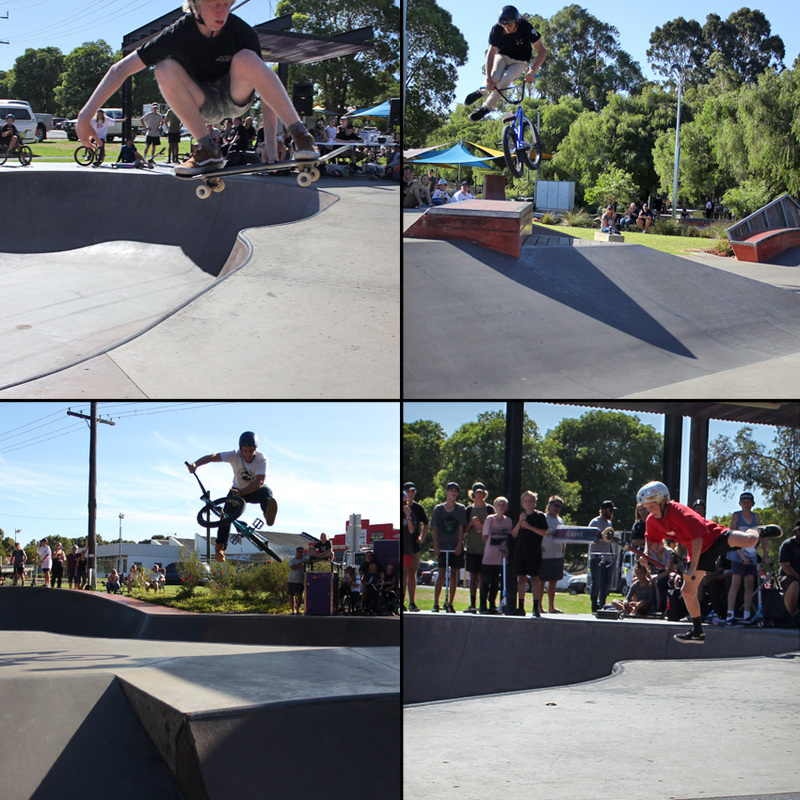 The 2018 series kicks off at Bassendean skatepark on the 16th February. Check our coming events page for more info. Clockwise from top left – Ethan Rowland has been smashing in the intermediate scooter class for 2017 and took the win at High Wycombe competition sealing his year end title for the intermediate scooter class, expect to see him completion in open class in 2018 – Jiordan Giacoppo again took the 1st place position at High Wycombe in the scooter open class as well as winning the year end title for 2017, that’s 3 years in a row. 2015, 2016 and 2017 year end title holder, congratulation to Jiordan Giacoppo – Bailey Portman has been slowly progressing within skating and it’s good to see. At High Wycombe he took home the 1st place in skate intermediate as well as winning the year end title for skateboard intermediate class – Luke Tooze won the year end title as well as the 1st place in bmx open class at High Wycombe. The guy is rad – More photos can be found on the facebook page here. Scooter beginner – 1st Harley Renfrey, 2nd Rhys Cheshire, 3rd Coen Gibson, 4th Russel Mason, 5th Finn Stockley, 5th Douglas Woodward, 5th Carter Nikora, 8th Kade Field, 9th Euan Johnston, 10th Seth Wrigley, 11th Zayle-Bay Straight, 11th Trent Foster, 13th Jai Morete, 14th Brody Henderson, 15th Levi Morete, 15th Jayce Taylor, 17th Tristen Ziak, 18th Ryder Gibson. Scooter intermediate – 1st Ethan Rowland, 2nd Thomas Wildish, 3rd Kaylen Westcott, 4th Adam Puffler, 5th Jasper Anton, 6th Dylan Raynor, 7th Fabian Evans, 8th Karee Furneyvall, 9th Liam Hillman, 9th Jay Clinch, 11th Kane Wrigley, 12th Ashton Kelly, 12th Kyle Rewell, 14th Jarrod Campbell. Skateboard intermediate – 1st Bailey Portman, 2nd Max Swan, 3rd Tom Sykes. 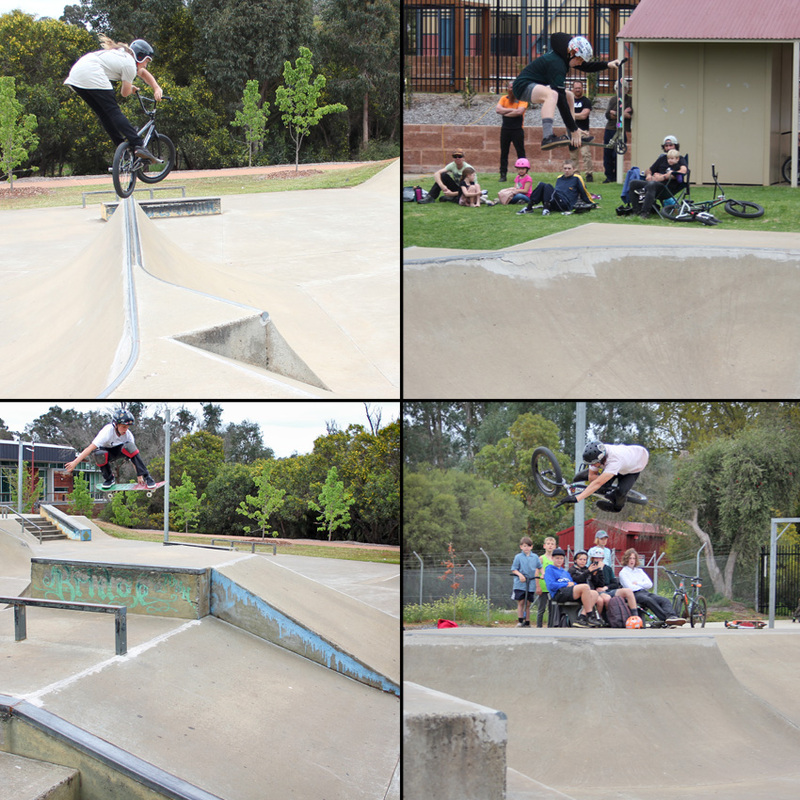 BMX beginners – 1st Jeremy Wilson, 2nd Nathan Gart, 3rd Mason Egan, 4th Treharne Wooley, 5th Johnny Williams. BMX open – 1st Luke Tooze, 2nd Nathan Dobbie, 3rd Jack Carwardine, 4th Jiordan Giacoppo. The next round of competitions takes place, round 14, the finals on the 9th December at the High Wycombe skatepark. Check our coming events page for more info. 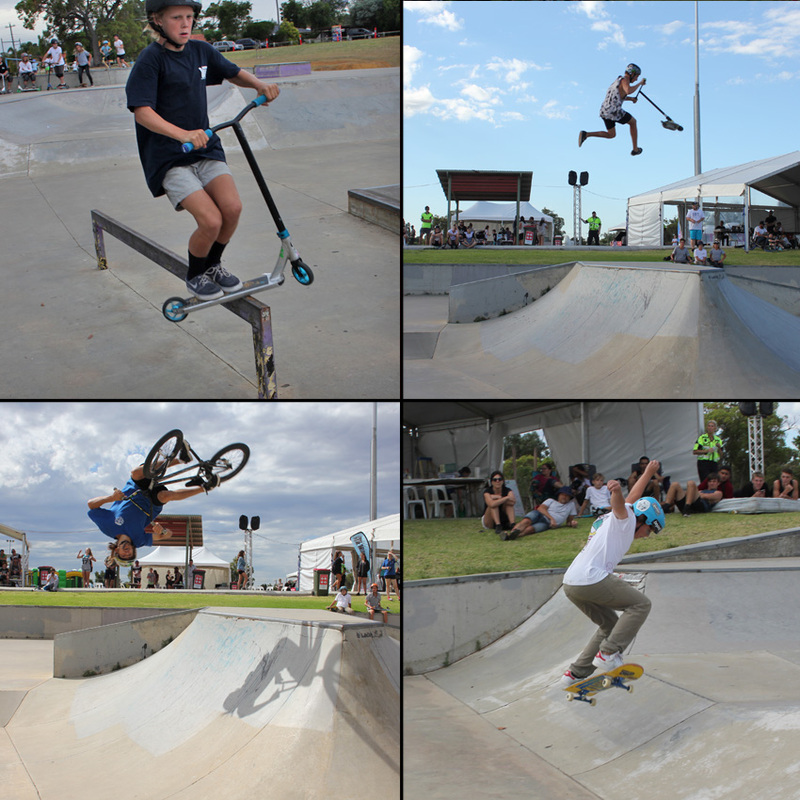 Clockwise from top left – local scooter rider Cameron Harapett rode well and used some of the new skills he learnt in the previous skatepark coaching session st Stratton skatepark to help take 2nd place in the intermediate class – Bailey Portman had a huge smile when he found out he had placed 1st in the skateboard intermediate class, smith grind – Chris Prince is another Stratton local who was able to advance his skills at the skatepark coaching sessions at Stratton, a well deserved 1st place in the beginner scooter class – Jeremy Wilson rode really well and consistent in the bmx beginners class, double peg grind to being stoked on a 1st place. More photos can be found on the facebook page here. 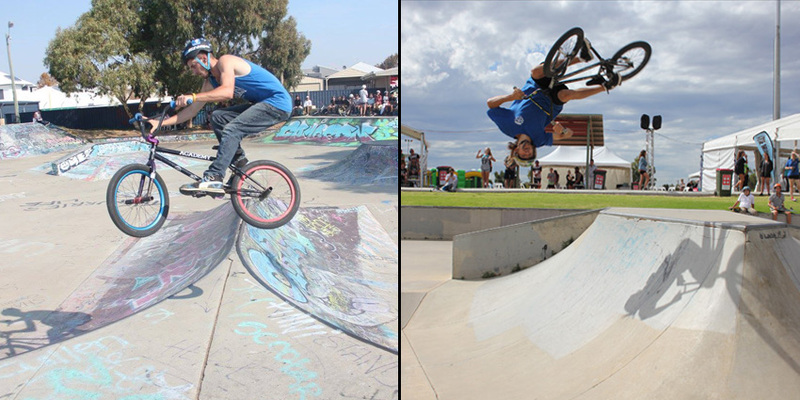 Willetton skatepark was the next location in the Freestyle Now Western Australian skatepark competition series. Round 12 was a massive turnout with 78 competitors. Willetton has always had big numbers and it was great to have some sun shine at the Willetton competition as the last few years it’s been plagued by bad weather. Skateboard and BMX both had some good numbers with all three classes having entrants. Scooter beginners again had a large number of competitors as did scooter intermediate. The riding that all of the competitors were displaying was nothing but progressive. It is great to see so many younger riders coming up and progressing from beginners into the opens. A large thank you to The City of Canning for their support. We would also like to thank our other supporters Colony BMX, The 4 skateboard company, Modus, Grit scooter and Vokul scooters. Scooter intermediate – 1st Adam Puffler, 2nd Ethan Rowland, 3rd Tyson Carroll, 4th Taiyo Wright, 5th Oben Mchoull, 6th Peter Roberts, 7th Matt Boult, 8th Myles Palombella, 9th Lachlan Larsen, 10th Jordan Field, 11th Noah Neveu, 12th Tyler Miller, 13th Ethan Price, 14th Jacob Flavelle, 15th Wilder Rowe, 16th Theo McCracken, 17th Jayden Guelfi, 18th Riley Swandel, 18th Tim Schneider, 18th Boston Brown, 21st Finn Lappin, 21st Ty Newman, 23rd Cooper Chapman, 24th Jack Marrone, 25th Jarom Teki, 26th Zach Brown. Scooter open – 1st Kody Law, 2nd Jakob Wells, 3rd Jason Meintjes, 4th Jae Yates, 5th Jordan Giacoppo, 6th Brody Groth, 7th Riley Hunter. BMX beginners – 1st Stephan De Haas, 1st Taj Hamilton. BMX intermediate – 1st Ben Targett, 2nd Jy Garbin, 3rd Tyler Henderson.